CHARLESTON, S.C. -- Gildan USA is extending its Triple-A Baseball National Partnership into 2018 to celebrate the excitement of the All-Star and National Championship Games being hosted in the same city, in the same season -- Columbus, Ohio. Never before has one city hosted both Triple-A Baseball epic events in the same season. 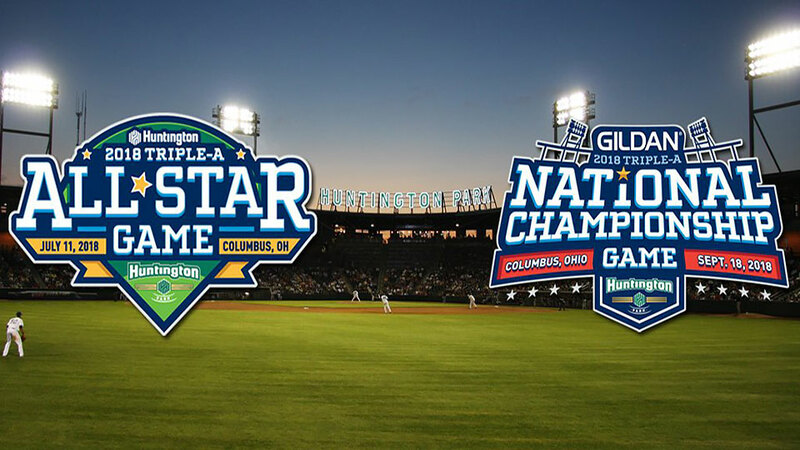 Columbus will host the 2018 Triple-A All-Star Game presented by Huntington Bank and Gildan® on July 11 at Huntington Park and will include exciting events and activities like the popular Home Run Derby. Then, on September 18, the 2018 Gildan Triple-A National Championship -- the one-game, winner-take-all showdown between the champions of the International League and the Pacific Coast League -- will take place at Huntington Park and will be broadcast live on NBC Sports Network. Since 2012, Gildan has been the Official National Sponsor of Triple-A Baseball, all 30 teams and all 30 ballparks. Tangible partnership performance and strong relationships at the league and team levels resulted in the initial sponsorship extending through to the end of 2017. Now, given the exciting news for 2018, Gildan is again extending its sponsorship into this next year to be a part of the upcoming season. The sponsorship, one with extensive reach within Gildan's overall sponsorship portfolio, enables the leading brand of basic family apparel to support fun and genuine consumer connections. Working with Columbus-based brand activation firm Involve throughout the sponsorship, Gildan has been hosting national sweepstakes, mobile tours, and live events. For example, the Mother's Day fan and team favorite "Pampering At The Park" treats game-attending moms to chair massages and mini-manicures, while kids decorate "I love Mom because…" tees. Plus, Gildan hosts sampling nights to provide game attendees with the best feel, fit and value in the next generation of underwear, t-shirts and socks. Additional activation components include charitable giveaways and Gildan's annual $100,000 "Every Throw Counts" ball toss at the Gildan Triple A National Championship Game. "At Gildan, we appreciate the partnership and quality of our relationships with Triple-A Baseball, its leagues, owners, ballparks and teams. We take great pride in being the National Sponsor for 2018 Triple-A Baseball, with its over 14 million fans that cheer hometown teams across the country. We align Gildan brand with fun and exciting events, and there's nothing like the fun of minor league baseball. We've been creating exciting fan traditions at these games since 2012, enhancing the fan experience. Men, women, and kids all love the national pastime and as we've seen at Triple-A ballparks nationwide, they love Gildan, too." "The 2018 season will be the 10 th season at our beautiful and award winning Huntington Park. To have the opportunity to host both the Triple-A All-Star game AND The Gildan Triple-A National Championship Game will make this season even extra special; and will mark the very first time in Triple-A history that both events have been held at the same place. On top of that, to have Gildan® again be a part of these events makes this a 'GRAND SLAM' for all of us." "During the past six seasons fans in the 30 Triple-A Ballparks nationwide have grown familiar with the Gildan/Triple-A Baseball partnership. Triple-A Baseball is thrilled to have Gildan® back in 2018 for what will be a unique season as it relates to the classification's two pinnacle events. Get ready Columbus as Gildan and Triple-A Baseball come to town in full force with both the All-Star Game presented by Gildan and The Gildan Triple-A National Championship Game." "Triple-A Baseball keeps adding new ways to bring excitement to its premier All-Star Game and Gildan National Championship events. Hosting both in Columbus' Huntington Park during the 2018 season raises the bar again as the top talent in minor league baseball comes in to show off skills soon headed to the major leagues. The Clippers and Gildan® deserve credit for cleverly putting together this first-ever Triple-A combination of showpieces." "Involve is thrilled to have brought the Gildan/Triple-A Baseball partnership together, and to have managed the sponsorship and activation throughout. This is one of the best values and most productive and collaborative partnerships I've seen in all of sports marketing in my 30+ years of partnership activation. The credit goes to Rob Packard at Gildan, the leagues, the owners and management at each of the 30 teams. We all have been having fun and doing great work together. It will be exciting to go an extra inning and extend the partnership into 2018, especially with the two pinnacle celebrations happening in our hometown."